It's Friday! Finally right? 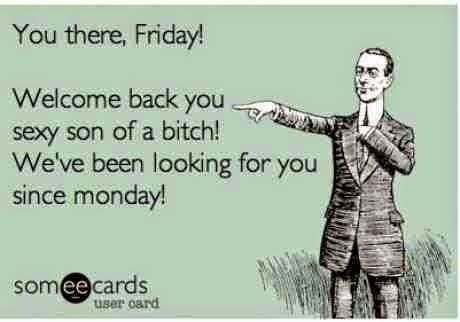 LOL I love Fridays...even if my plans consist of sitting at home all weekend I still enjoy it! How about you? What are your plans for the weekend? Mine...reading a much needed TBR list and laying out in the sun! I love being outside and the weather here is finally getting nice enough to be out all day! Yay!